Hyper-convergence and the cloud favor Ethernet over Fibre Channel technology. And Ethernet is better for unstructured data storage, which is more popular than the structured data that needs FC SANs. So why does anyone care about 32-gig FC? Flash. All-flash storage SANs could keep Fibre Channel in the picture, especially while the technology transitions from 16 Gbps to 32 Gbps equipment. 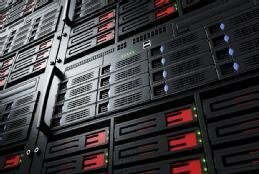 As performance bottlenecks move from arrays to the storage network, FC will stay relevant. Because solid-state storage has greater throughput and lower latency than hard disks, storage networks require more bandwidth to meet performance peaks. Gen 5 Fibre Channel will eventually be too slow for faster SSDs, such as flash with nonvolatile memory express (NVMe) and 3D XPoint. Experts agree that as drive performance improves, networks must receive upgrades to 32-gig FC and 100-gig Ethernet. That said, 32-gig adoption has been slow. Vendors such as Brocade, Cisco and QLogic offer switches and adapters to support 32-gig FC, but it's possible that organizations are waiting for the price of all-flash arrays to come down. Companies that get on the 32-gig bandwagon early can still use their 16-gig equipment, but organizations looking on could be holding out until all the kinks are worked out. What will truly start to drive 32-gig FC adoption will be array vendors. Once all-flash arrays embrace Gen 6 Fibre Channel, organizations upgrading to all-flash will too. In the meantime, learn everything you need to know about 32-gig Fibre Channel, NVMe and more in our three-part guide to Gen 6 Fibre Channel technology.